9 Dog Lovers who did awesome Things for their Dogs! Dogs give us their absolute everything. You can’t say this for most of the people you’d know in a lifetime. Dog lovers know this and hence try in their own little way to do clever and cute things to help their best friends. 1. Wood work for woofs! 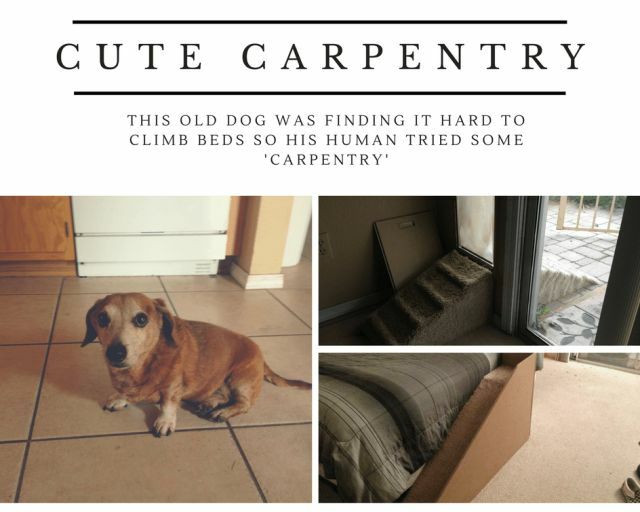 When this poor little pooch got old and found it hard to do little things he loved – climbing stairs, getting on bed etc. His human tried his hands at carpentry to do a little modification. 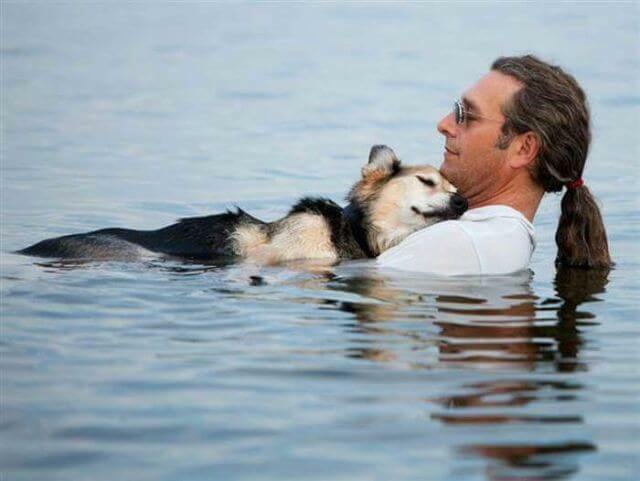 John and his arthritic dog, Schoep used to go floating for the latter’s therapy. Schoep died in 2013 aged 20 years. 3. When this poor pooch went blind, his owners built him this handy armor to protect him from any injuries. 4. 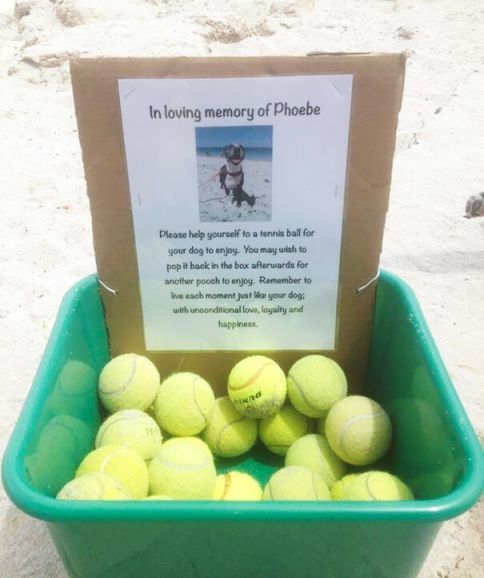 This signboard at a beach in memory of Phoebe, is achingly beautiful! 6. Well, we’ve all heard how 3D printing is the future. 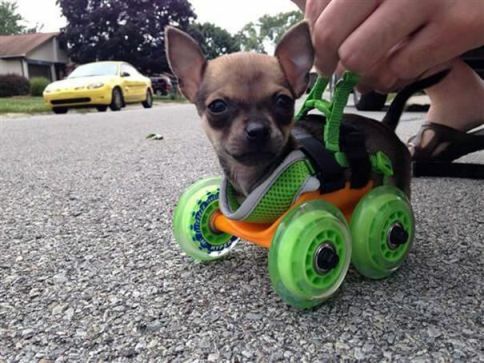 This dog who couldn’t walk got a 3D Printed mini wheelchair to assist him with movement. 7. While there’s no substitute for actual physical presence. Sometimes technology can chip in for dire times. Here’s raising a toast to the Engineer who built this Machine Which Tosses Balls so that the home alone dog can play fetch even when there’s no human around. 8. Holes in the wall! 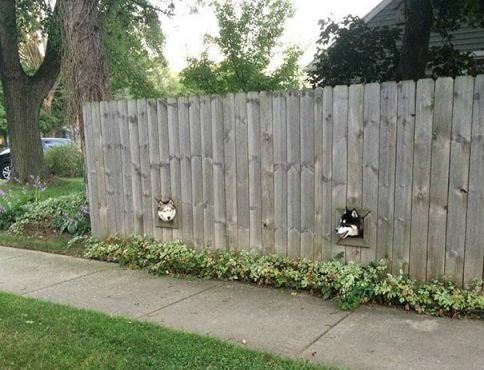 This Man customized his boundary wall so that his dogs can peek outside. Bonus: This man built a custom kayak to take his dogs on adventures! 67-year-old David Bahnson and his dogs on the world’s cutest kayak! Hope and happiness often come calling from unassuming corners, in little things that make a difference. 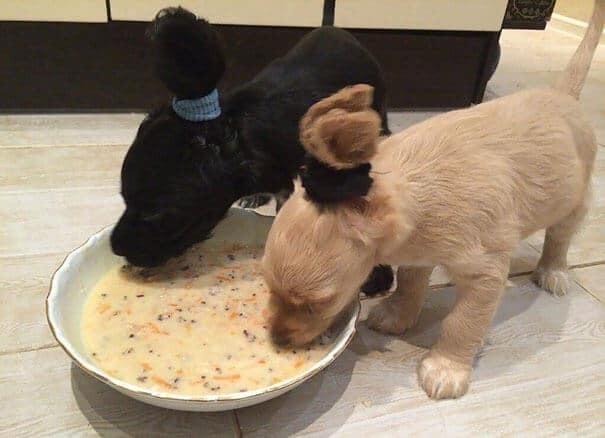 Know of any such hacks to make a dog’s life easier? Please do share via comments. Previous Previous post: Does your Dog Understand Words? Science says Yes!